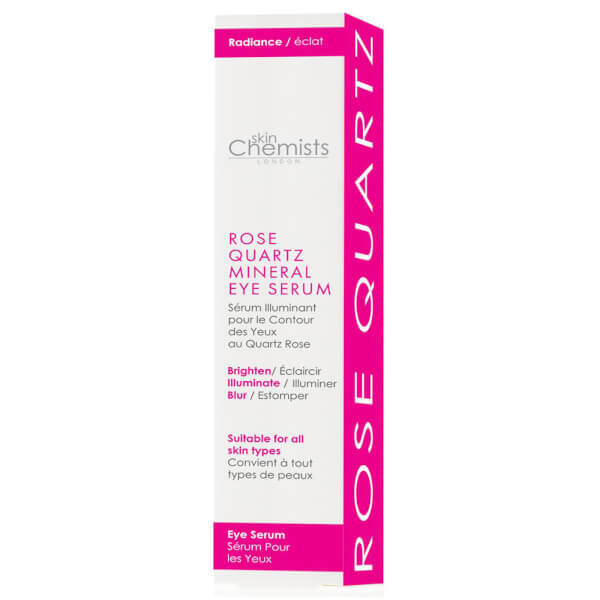 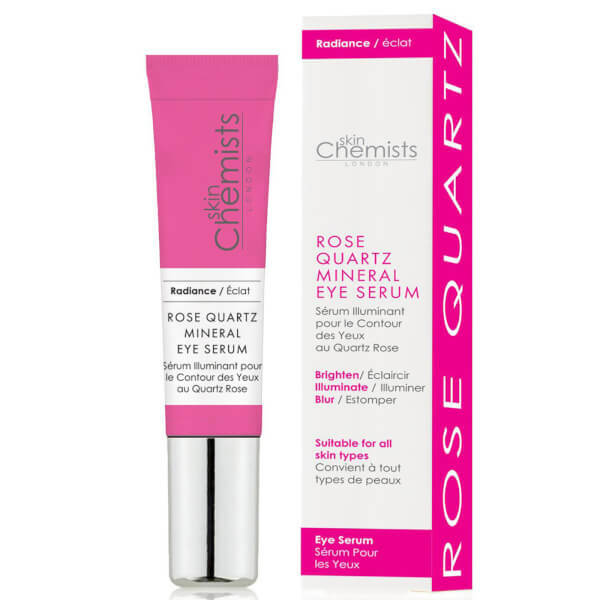 Improve skin tone and texture with skinChemists London Rose Quartz Mineral Eye Serum; a lightweight, quick-absorbing formula that works to illuminate, rejuvenate and hydrate. 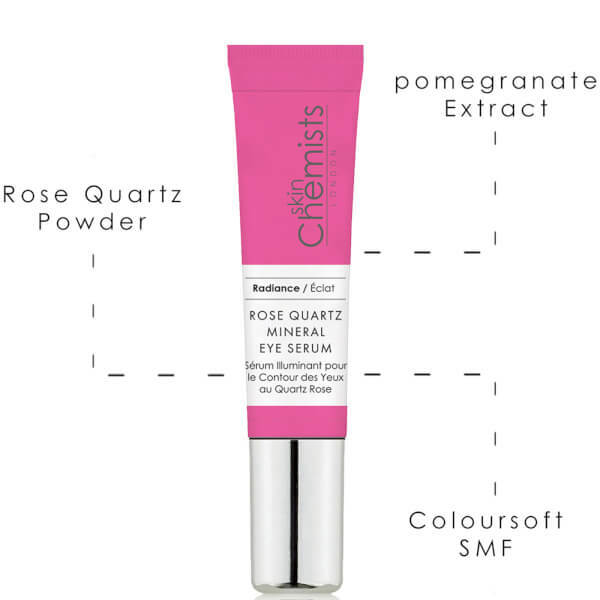 Harnessing the powers of Rose Quartz Powder and Pomegranate Extract, the skin-brightening serum softens the appearance of fine lines and wrinkles, whilst Coloursoft SMF promotes a smoother, more refined eye contour. 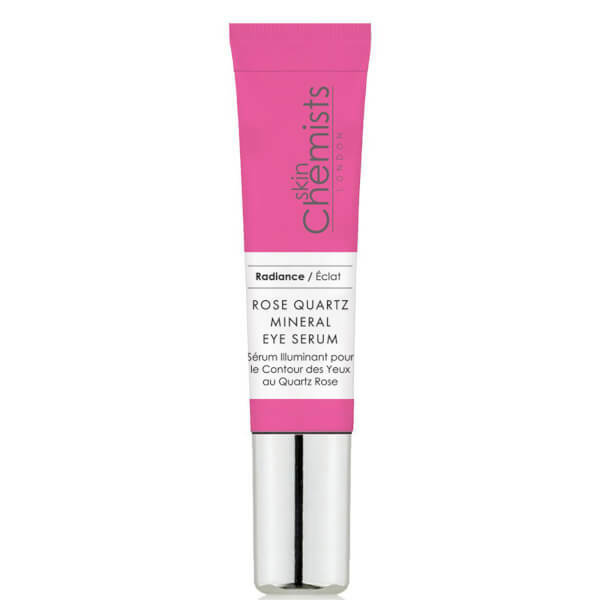 Antioxidants defend against environmental aggressors to leave the eye area looking youthful and wide-awake.